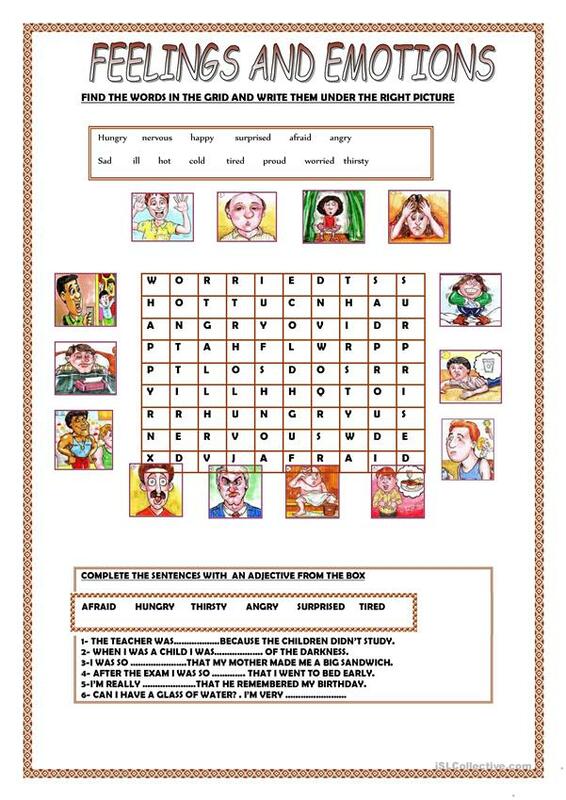 The present downloadable worksheet is recommended for elementary school students at Beginner (pre-A1) and Elementary (A1) level. 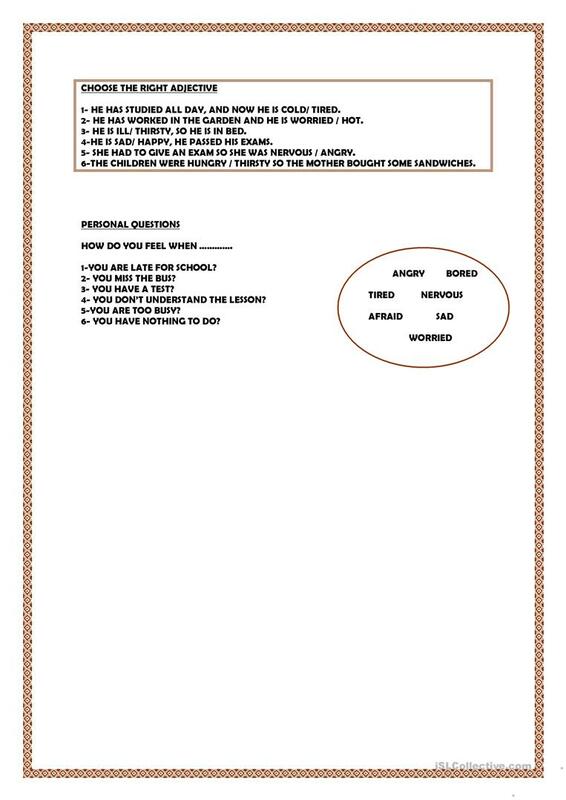 It is great for practising Adjectives and Adjectives to describe feelings / mood / tone in English. It focuses on the theme of Feelings, emotions.